I always look forward to hosting the annual WINGS winter birding tour, and last year was no exception. A group of four visiting birders from the southern USA enjoyed some great “cold weather” birding and lots of excellent winter birds. An abundance of Dovekie, finches and of course a great selection of northern gulls were all part of a fantastic week! Check out this blog post to see more highlights. WINGS tour participants scan for seabirds at wintery St. Vincent’s beach on January 15. The first big rarity of 2016 was an unexpected one … an immature Sabine’s Gull discovered at St. Vincent’s on January 31. This species is virtually never recorded in the northern hemisphere during winter, let alone Newfoundland. I had never seen a Sabine’s Gull, so after a few painful days I finally made the trip to see it on February 4 – enjoying it immensely despite some wicked weather! You can read more about my encounter with a “Sabine’s in the Snow” here. This Sabine’s Gull was not only unexpected but “off the charts” for January in Newfoundland. It should have been somewhere far, far away from the snow squall I was watching it in! The winter excitement continued when a Fieldfare was discovered in Lumsden (northeast coast) on February 6. This mega-rare European thrush was a bird I had been waiting to see here (I saw TONS when I lived in Finland in 2005), so I once again braved some nasty and very cold weather to track it down. We worked hard for this one, and the end result was a not only a new “tick” but a lot of time invested for a lone obscure photo of its rear-end. Read more about this eventful chase here. The business end of a mega-rare (and very elusive!) Fieldfare in Lumsden on the northeast coast. While we did get some slightly better looks, this was the only photo I managed to get! “Arse-on”, as we might say in Newfoundland. Mid-February saw me catching up with an old, familiar friend – a Yellow-legged Gull which had been elusive the past few winters. This female Bullock’s Oriole (2nd provincial record) was visiting a private feeder sporadically during late winter 2016. I finally caught up with it on March 23 – a great bird! Spring birding is always a “mixed bag” here in Newfoundland – you never know what you’ll see. I enjoyed one very interesting day of birding with Irish birders Niall Keough and Andrew Power in early May – finding great local birds such as Black-backed Woodpecker and Willow Ptarmigan, as well as rarities such as Purple Martin, Franklin’s Gull and a very unexpected Gyrfalcon! You can check out more the day’s highlights here. This Cave Swallow, discovered at Quidi Vidi Lake (St. John’s) by Alvan Buckley on May 29, was not only the province’s second record but also one of just a few spring records for eastern North America. In early June, BirdTheRock hosted its first tour to the Codroy Valley. Nestled away in the southwest corner of Newfoundland, this lush valley is easily one of the island’s most beautiful places – and it is also home to the province’s greatest diversity of landbirds. A number of species wander there regularly that are otherwise very uncommon or rare in the rest of Newfoundland, and a few have pushed the limits of their breeding range to include this small region of our island. There are many species that you can expect to find here but nowhere else in Newfoundland! Read more about our very fun tour here (and contact us if you’re interested in the 2017 trip which will be advertised soon). 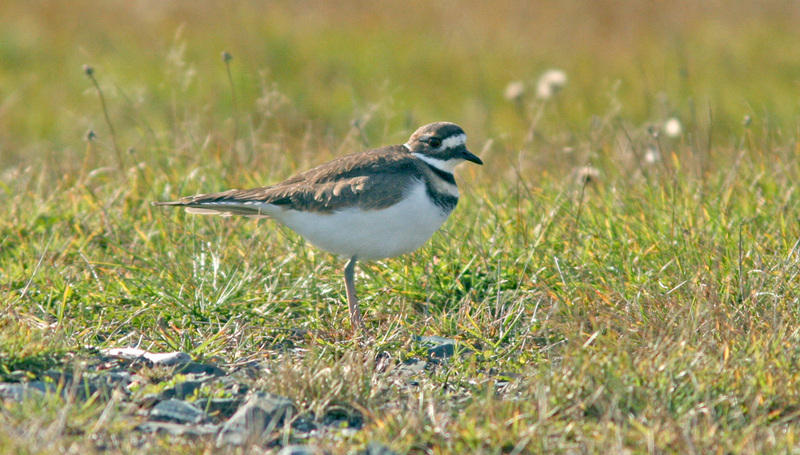 The Codroy Valley is one of the last footholds of the endangered Piping Plover in Newfoundland & Labrador. We enjoyed seeing several during the tour – a good sign for this vulnerable species. The rest of summer was blocked full of tours and adventures with friends and visitors from all over the world. One of the biggest highlights was the “Grand Newfoundland” tour I designed and hosted for Eagle-Eye Tours. This epic, 11-day tour started in St. John’s and hit many great birding and natural history sites across the province, before ending in Gros Morne National Park. This was hands down one of the best tours and most amazing, fun-loving groups I have ever led – I can’t say enough about the great time and experiences we all had! Read more about this fantastic tour here (and check out the Eagle-Eye Tours website if you’d like to find out more about the upcoming 2017 trip). While I’ve always been blessed with excellent groups, this one was especially great – energetic, easy-going and always up for some fun! One obvious highlight was our boat tour to the Witless Bay Ecological Reserve, where we experienced (not just “saw”!) North America’s largest colony of Atlantic Puffins. It never disappoints. I was happy to be joined by my friend and co-leader Jody Allair – someone who has no trouble finding a way to have fun on every day of every tour! After the tour, Jody and I joined Darroch Whitaker for a climb to one of Gros Morne National Park’s lesser visited summits. Here we found several Rock Ptarmigan – a new species for both of us, and one of just a few breeding species I had left to see in Newfoundland. Two rare terns shows up on the southeast Avalon in late July. Although I missed one (Royal Tern), I did catch up with a Sandwich Tern – my fourth new species of the year! On the way back, Alvan Buckley and I discovered another great and unexpected rarity – a Eurasian Whimbrel! Although not my first, the mid-summer date made it especially notable. You can see more photos of these unusual visitors here. 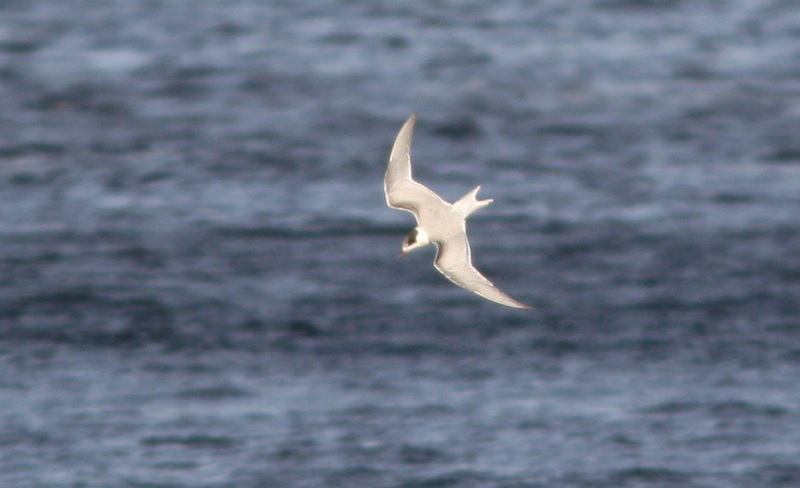 This Sandwich Tern was just the sixth record for Newfoundland, and a first for me! The European race of Whimbrel (centre) is most easily distinguished from it North American cousin (left and right) by its large white rump. One iconic Newfoundland species that I had several wonderful encounters with this year was Leach’s Storm-petrel. Despite being very abundant breeders and at sea, it is actually quite unusual to encounter them from land. This year I was fortunate to help several clients see this elusive bird, enjoy hundreds myself during a northeast gale, and even rescue one stranded at Cape Race lighthouse. If you’d like to learn more about these enigmatic little seabirds, check out this blog post I recently wrote about them. We rescued this Leach’s Storm-Petrel after finding it stranded at the base of Cape Race lighthouse on September 25. Few birds are as legendary in Newfoundland as far-flung western warblers, and Hermit Warbler is one of those gems that I’ve been wishing (though hardly expecting) to see here. But even more surprising than the fact that one was found on November 11, exactly 27 years after the one and only previous record, was that I had virtually conjured it just 12 hours earlier! It was my fifth and final new species for 2016. Read more about this incredible rarity and my wild prediction here. 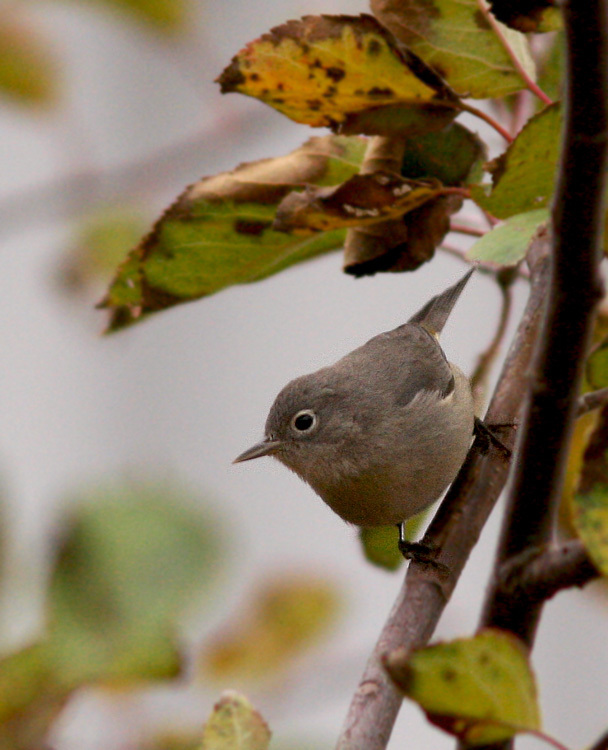 This Hermit Warbler was no doubt the highlight of November – and maybe of the year. Bruce Mactavish discovered it in Mobile on November 11. I wrapped up my birding year with a fun and very impromptu adventure in Hawaii. I had the very great pleasure of helping ABA Big Year birders Laura Keene and John Weigel “clean up” on the amazing birds of Hawaii last month. Although the recent addition of Hawaii to the ABA region didn’t take effect until 2017, these intrepid birders decided to include it in their own big year adventures. We had an amazing time, saw virtually all the species one could expect in December, AND set a strong precedent that future Big Year birders will have a tough time topping! I’ll post a short write-up about that adventure, and its deeper meaning for me, in the very near future – so stay tuned! Palila is just one of several endemic (and critically endangered!) species we encountered while visiting the Hawaiian islands. This particular bird is among my worldwide favourites, and the time we spent with this one is an experience I’ll forever cherish. Best wishes for a healthy, happy and adventure-filled 2017!! It was late at night on Thursday November 10, and I was discussing (over text message) my birding plans for the next morning with Bruce Mactavish. I was heading south from St. John’s to look for late season migrants, shorebirds and whatever else might come my way. Bruce, on the other hand, was sticking closer to town to check local hot-spots for November warblers. I’m known for making optimistic (if not wild) predictions, so it probably came as no surprise when he received my text at 11:00PM saying “I’ll come back to town for a Hermit Warbler“. 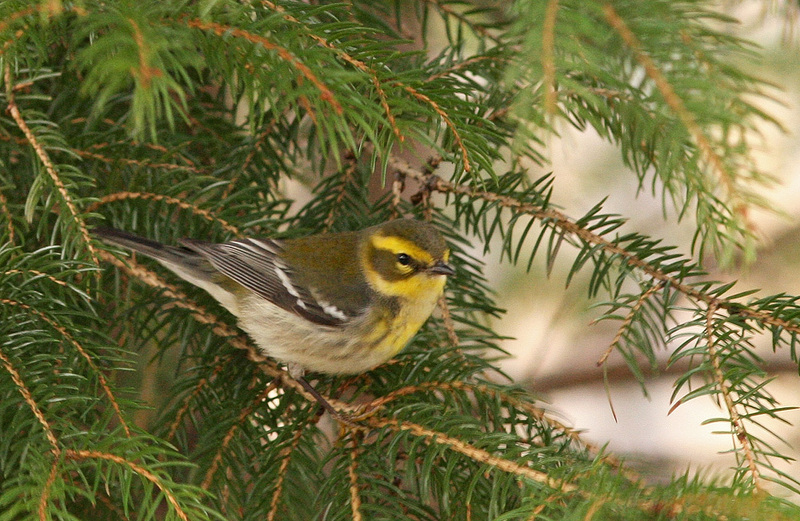 Hermit Warbler is incredibly rare in the east, and had only been recorded in Newfoundland once – on November 11, 1989. As rare as it is, it’s one of those birds that local birders think about at this time of year. I had been birding for several hours and was as far south as Ferryland when Bruce texted to tell me he was driving to Mobile to check out a probable (but very late and therefore suspicious) Spotted Sandpiper that had been reported there. I had driven through there hours earlier, but told him to keep me updated. A short while later, I noticed a missed call from Bruce on my phone – and promptly received a text message saying “HERMIT WARBLER, MOBILE”. Knowing that Bruce is not one to play tricks, I made near-record time on the way back and found him standing on a trail at the end of a road – Spotted Sandpiper confirmed, and Hermit Warbler “somewhere” in the nearby woods. Other birders soon showed up, and we searched the area for several hours without any further sign. Most people gave up and headed home as the weather and light deteriorated, while I gave it another go and expanded my search to another road up the hill. 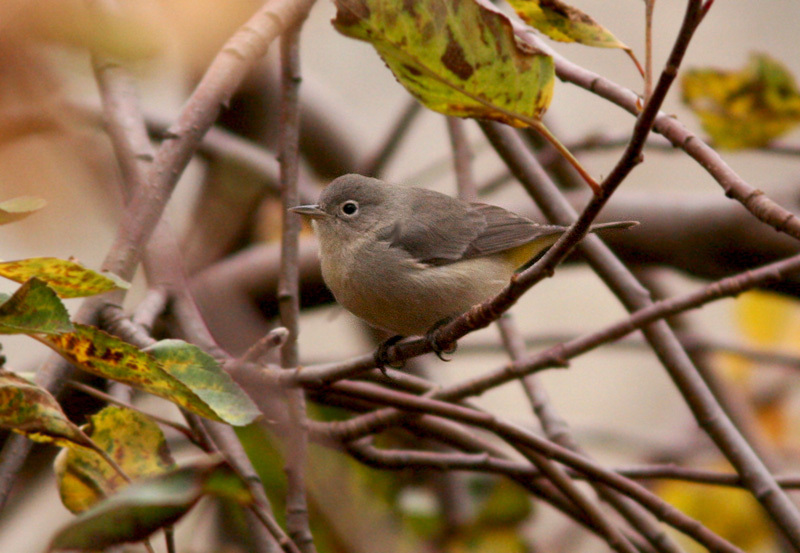 I soon glimpsed a warbler with a bright yellow face among a big flock of Juncos, Chickadees and Golden-crowned Kinglets – but it dissolved into the trees before I could even get my binoculars on it. It HAD to be the Hermit Warbler! But better looks would have to wait. I spent the rest of the weekend in Grates Cove – closing up the house for another winter and enjoying some family time. But all the while I felt tortured over this amazing warbler that “got away”. Fortunately other birders were able to refind it in the same area I had glimpsed it on Friday, but always with very brief and fleeting glimpses. Photos were scarce, obscured and out-of-focus but enough to whet my appetite. Anne Hughes and I headed back to Mobile on Monday morning, and within a little while were joined by three others. It was spotted briefly near the road, and then Anne found it again behind a nearby house. This time I saw it too – and really well (for a few seconds!). As it had all weekend, it popped up briefly and disappeared again several times over the next two hours … I likened it to a frustrating game of whack-a-mole. I saw it on three separate occasions for a grand total of less than two minutes, and most of that was distantly in the treetops! I did manage one decent photograph, with most others showing either a blur or a twig where it had been sitting milliseconds earlier. But hey – with a great bird of this rarity level, it’s seeing it that counts! What do I predict next?!?! 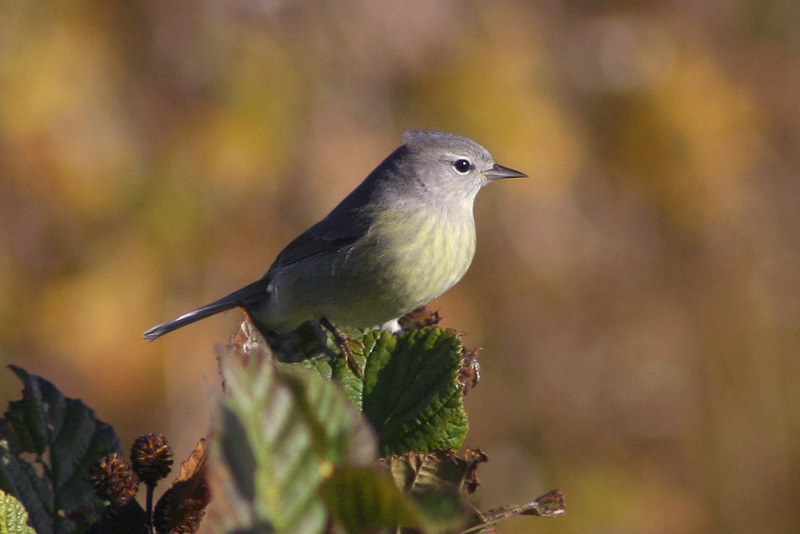 This HERMIT WARBLER will no doubt be the highlight of November – and maybe of the year. Bruce Mactavish discovered it in Mobile on November 11 – exactly 27 years after Newfoundland’s one and only other record (Nov 11 1989)! The broad wing bars, clean white underparts and oh-so yellow face make this an unmistakable (and unforgettable) bird. My first looks at this bird on November 14 turned out to be my best, although I bombed on a chance to photograph it. The only time we saw it at eye level, I was able to see the grey back which helps distinguish this species from similar cousins and rule out the possibility of a hybrid (which do occur, and there is one record of a probable Hermit X Townsend’s Warbler hybrid for the island). I have no experience with Hermit Warblers and am not sure if this is an adult female or an immature male. Just as one might expect from reading the literature, this Hermit Warbler spends a lot of time in the canopy, foraging in the top one-third of the conifers. It seems to show a preference for larch trees, and my longest views of this bird (and the only views lasting more than 5 seconds) were while it fed at the top of several larch trees in the distance. I also spent a little time with these two Cattle Egrets in Ferryland, just before getting “the call”. Cattle Egrets are rare but annual in Newfoundland, and two together was a bit of treat. Spending the weekend in beautiful Grates Cove, I had to distract myself from thoughts of the Hermit Warbler that other birders were seeing back in Mobile. The lovely “supermoon” that graced us on November 14 was a nice help! November is always an exciting month in Newfoundland birding. While most of the busy migration season is behind us, this is the time of year when the “real” rarities often show up. The list of “megas” that have been recorded here in November is staggering and includes real gems like Corn Crake, Wood Sandpiper, Curlew Sandpiper, Long-billed Dowitcher, Slaty-backed Gull, Cave Swallow, Ash-throated Flycatcher, Redwing, Townsend’s Solitaire, Black-throated Gray Warbler & Hermit Warbler — just to name a few! This November has started off quite hot … no “megas” yet, but lots of quality birds. One of the most intriguing so far has been a Meadowlark discovered near Kenny’s Pond, St. John’s on November 7. I arrived less than an hour after Alvan Buckley initially found it, hoping for a glimpse and maybe a few photos. True to form, it was very secretive and almost impossible to see on the ground as it skulked in the grass of an abandoned, overgrown soccer field. Over the next hour we saw it in flight several times, and several cameras were able to snap some poor photos as it sailed from one side of the field to the other. My photos were far from stellar, but c’est la vie! Terrible Photo(s) #1 – A Meadowlark (Eastern? Western?) that was discovered in St. John’s on November 7. It was seen over the next few days, but the cryptic nature of this bird and its plumage means we may never know which species it was! With a little extra freedom this holiday weekend, Alvan Buckley and I decided to get together for a full day of birding on November 11. I have a little tradition of birding “underbirded” places on the southeast Avalon in early November – a day I jokingly refer to as my “Off The Beaten Track Tour”! Sticking to that plan, we thoroughly birded small communities from Brigus South to Renews. We started off on firm footing, finding Red Crossbills, an Orange-crowned Warbler and Baltimore Oriole in the little hamlet of Brigus South (which probably doesn’t get looked at any other day of the year!). Our next stop in Cape Broyle produced a Black & White Warbler, Common Yellowthroat, Lincoln’s Sparrow, and Evening Grosbeak … nothing too exciting, but all quality birds for the time & place. Then Alvan spotted our first (minor) rarity of the day – a Northern Mockingbird hanging out in the tangles of a damson tree. It flew off before we could get too close, although I managed a few mediocre record photos when it returned a while later. 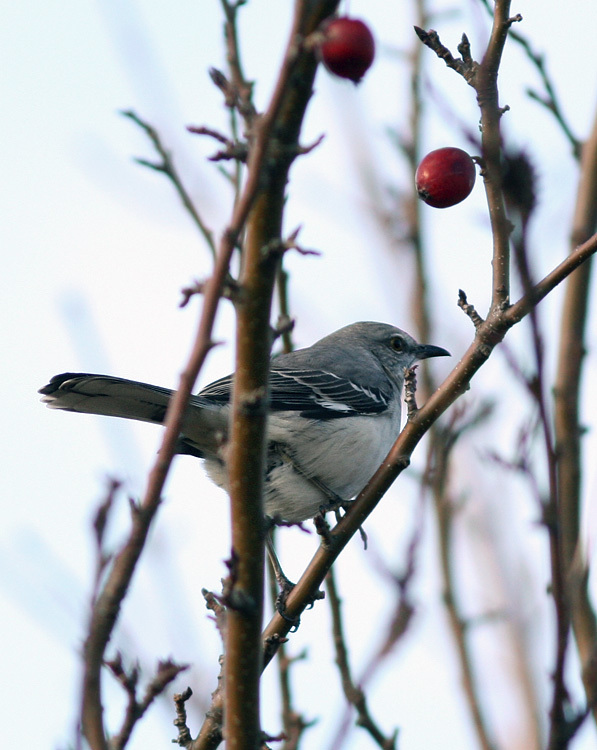 Terrible Photo #2 – A Northern Mockingbird in Cape Broyle. This is an annual rarity in Newfoundland, although I certainly don’t see one every year. (Not Quite) Terrible Photo #3 – Killdeer. I even struggled to get a nice picture of a relatively tame bird! Next on our route was Calvert, which produced another Orange-crowned Warbler. Ferryland, filled with potential but rarely checked during fall, always seems to deliver in November. 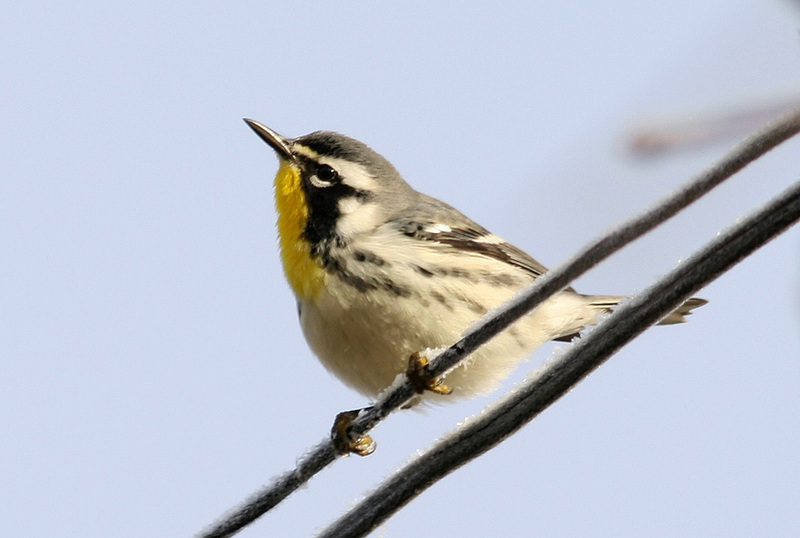 On this day, we found a lingering Yellow-rumped Warbler and Killdeer in the northern part of town. After splitting up to cover more area, Alvan and I converged in a lush area known as the “pig farm delta” which has seen its share of good birds over the years. We soon spotted an interesting bird tucked into some distant alders … and when it flew we both exclaimed “KINGBIRD!” at the same time. 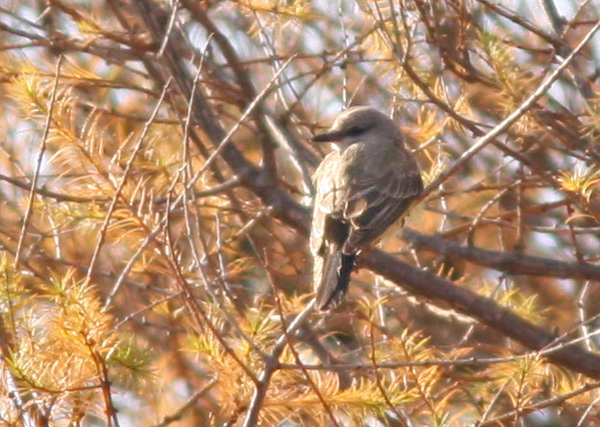 It was a Western Kingbird … an excellent (though nearly annual) bird in Newfoundland! It hung around long enough for a few other birders to arrive and see it, although distance and tough light made it impossible to photograph. But terrible photos are better than none, I guess! Terrible Photo # 4 – Western Kingbird, Ferryland. 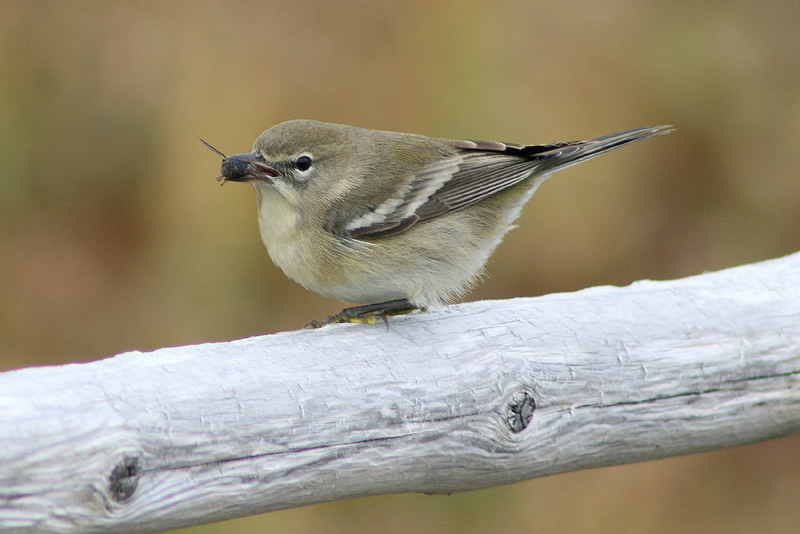 This is an excellent bird in Newfoundland, and “probably” our bird of the day. Too distant, tough light … all the regular excuses. Motivated to keep birding, Alvan and I headed south to Renews (driving past some other great, underbirded places on the way!). I had hardly stopped the car on the south side of the harbour when Alvan pointed out a tern over the water. Any tern is rare in November, and there was momentary excitement as we fumbled for our scopes and cameras. It was fleeting, however, as we soon realized it was a Common Tern … still rare at this late date, but not as exciting as we had hoped. (Another had been seen at Cape Race two days earlier, suggesting they may have arrived on the very strong southerly winds of the weekend). 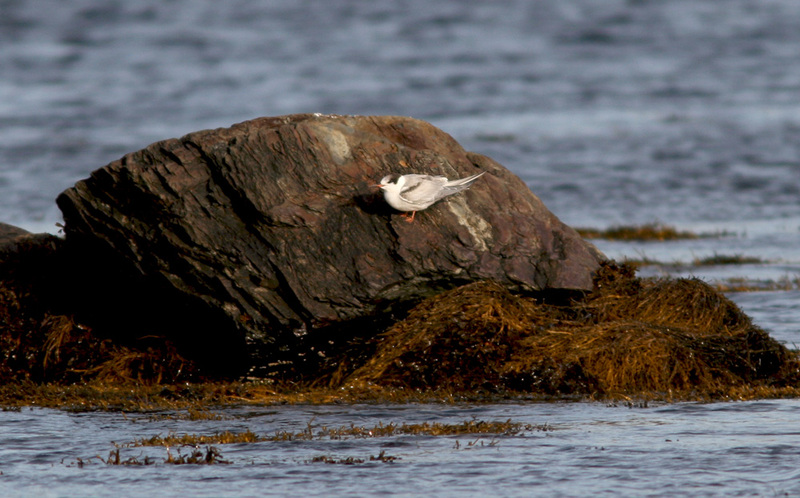 Terrible Photo # 6 – Common Terns are long gone from Newfoundland in November. This one must have arrived on the strong southerly winds of the past few days. It didn’t look happy. We moved on to check the rest of town, not seeing much of note. Then we split up again, and I searched out some junco flocks at the edge of town. Another Orange-crowned Warbler popped in with one small flock … followed by another pale, non-descript bird that peaked my interest. After getting a few good glimpses through the alders, it appeared to be a vireo … and a good one! It (and the entire flock) dissolved into the trees and disappeared before I could get the confirming looks I wanted, and I knew one of (if not “the”) best birds of the day had just slipped through my fingers. 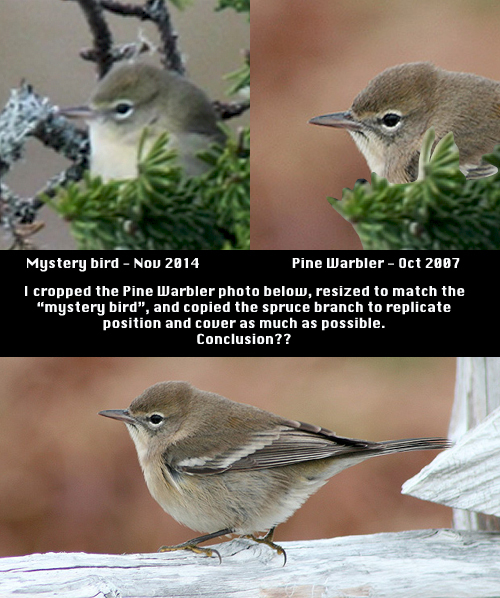 Was it a Warbling Vireo, or something even rarer?? I guess I’ll never know for sure, but that image is burned into my head and will nag me for the next few days. Arrrgh … If only I’d been able to get just a few terrible photos!! I’m not sure how many Snowy Owls it takes to make a yaffle (a traditional Newfoundland English word meaning “a load” or “an armful”), but no doubt there are yaffles abundant around the Avalon Peninsula right now. 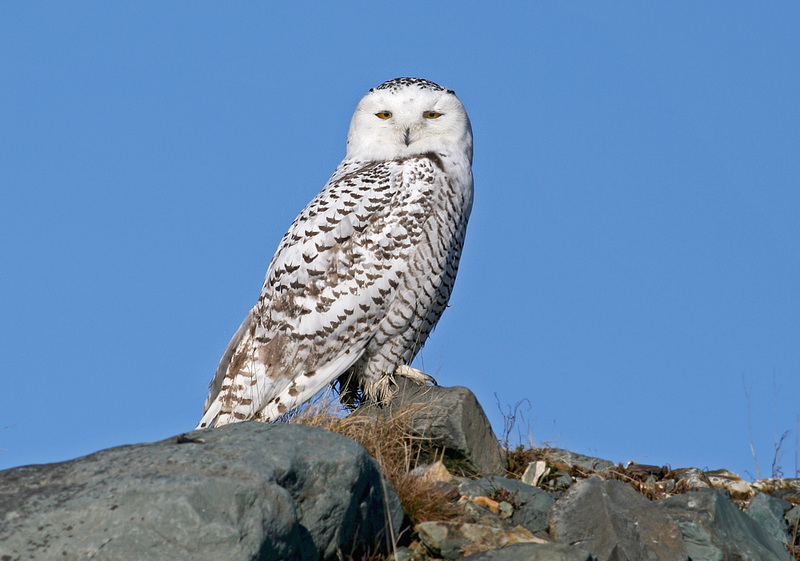 Snowy Owls started getting reported at Cape Race last weekend, with as many as eight being reported on November 17. That total climbed to a mouth-watering eighteen today, while other individuals were at Cape Spear and Ramea the past few days. There has certainly been a fallout of these beautiful arctic owls the past few days, and chances are we are in for a banner year like we haven’t seen for quite some time (though certainly not unprecedented in eastern Newfoundland, where dozens have sometimes been recorded in a relatively small area and on single Christmas Bird Counts in the Cape Race area!). This young Snowy Owl was one of several I had the pleasure of enjoying on Cape Race road in November 2008. Beautiful!! Keep your eyes open for these majestic white visitors … they can show up almost anywhere!! Just minutes after writing my last post about “dipping” on the Virginia’s Warbler for the past two days, I got a text saying it was being seen off-and-on and currently (somewhat) well. It was 11:50am … I was stoked, but now had SIX kids under my care and had to wait for relief!! I had my gear ready and met Susan in the driveway as she pulled in at 12:39pm … I gave her a knowing wink as I rushed past her and jumped in the old car. Engine ignited … gear shift to “drive” … and BAM!! Something under my feet snapped very loudly and started lashing around!!! Not sure what it was yet, but the car was as good as dead! I quickly switched keys with Susan and tore off down the rode in the other car … getting a message as I left that the bird was not being seen at the moment. I arrived a short while later to find a handful of people and cameras pointed at an apple tree where it had been two days ago. After 20+ minutes of chatting about the bird and the circumstances of recent observations, some Juncos & Goldfinch starting moving in around us. I honed in on every glimpse of movement in the dense apple tree … minutes passed … then, we heard the distinctive “chip” across the road. It was coming in!! Now I just had to see it! I changed locations for what I felt was a better angle on the tree, settled in and waited … a few minutes later a dainty bird with a small flash of yellow in the rear end zipped in!! I got several short but clear glimpses as it foraged in the back of some thick, tangly branches … VIRGINIA’S WARBLER!! I was wishing I had thought to tuck a bottle of good whiskey in my camera bag!! A few celebratory handshakes and high fives later, it came back in. I took out the camera and followed it through the thick foliage for the next five minutes, snapping off mostly obscured and/or out of focus photos … but I did manage to walk away with four that show the bird relatively well. And, most importantly, I walked away HAPPY !! 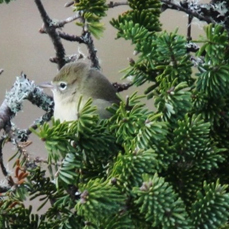 I finally caught up with Newfoundland’s first Virginia’s Warbler in east St. John’s, after 2.5 days of agonizing misses. Taken at a measly 1/100 second and ISO800, the pic is grainy — but pure, sweet vindication. It was very difficult to see the bird in the open, let alone capture a photo, as it foraged in the deepest, thickest parts of an apple tree.